In her exotic new home, the Dalai Lama's cat encounters Hollywood stars, Buddhist masters, Ivy League professors, famous philanthropists, and a host of other people who come visiting His Holiness. Each encounter offers a fresh insight into finding happiness and meaning in the midst of a life of busyness and challenge. Where does The Dalai Lama's Cat + The Dalai Lama's Cat: Guided Meditations rank among all the audiobooks you’ve listened to so far? This book captures your heart and your mind. I have read all 3 now and my 13 yr old son just finished this one too and immediately downloaded the 2nd. We love the brilliant narrative of this little Himalayan cat, who is on a path through life similar to all creatures - and surprisingly, we can relate! While there is no question my son and I both love the little Snow Lion, he feels an affinity for Sam and I do love Mrs. Trencci. I loved how she came to meet up with her Tom Cat - needing to overcome her aversions to non familiar places. If you could take any character from The Dalai Lama's Cat + The Dalai Lama's Cat: Guided Meditations out to dinner, who would it be and why? The Dalai Lama - as I am sure it would be - cativating! The narration is very good by the author. Beautiful story about an anthropomorphic cat with the good luck to be rescued, nearly dead, from an Indian city slum, by His Holiness the Dalai Lama and raised to adult cat-hood by His Holiness and brother monks, along with a fascinating cast of characters: Westerners looking for Eastern wisdom, Easterners with Western technology, world-famous actors and actresses who come for a blessing, and many more, both human and animal. During her day-to-day existence, HHC (His Holiness' Cat) learns plenty of lessons on how Buddhist principles can turn the problems in her life into opportunities for growth and further contentment. Lessons that she gently and with much humor then transmits to the reader. It's done so smoothly there's no feeling of being 'preached to,' and the examples from HHC's life are smooth enough that the lessons are quite explanatory and easily transferred into our lives as well. 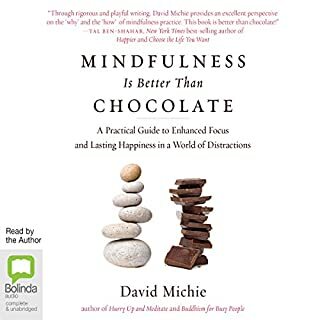 I could never listen to a tome about mindfulness. Only a cat- the Dalai Lama's cat, brought the humor necessary to maintain a developing narrative to enlighten me of, not just the principles of practice, but an understanding of the joy. I listened to all three. This is a charming book. One that touches the heart and also the soul. For those who love the royal kitties of the world, this is a wonderful way to learn Buddhist philosophy. What a sweet, lovely book. Kitty slips in philosophical commentary while we're listening to her purr. This story is excellent, the visuals and other descriptions are effortlessly included within a story that has 3-D characters. The writing is sophisticated, with insightful observations about people and situations, and yet simply presented. And the main character, the cat, is a charming way to tell a very interesting story. The narration is perfect too. I found a brief youtube clip of David Michie explaining why he wrote a fictional book and it made sense. I often seek books that are going to give me pleasure and an escape and this book (and the 2 following it) was perfect, and fun. I could feel my face's cheek muscles were getting a workout from the permanent smile on my face as I listened to the story. The bonus meditation instructions at the end of the audio book are a generous gift to the listener. Yes, I know there are not 10 stars. But this book (2 books) deserves all 10. 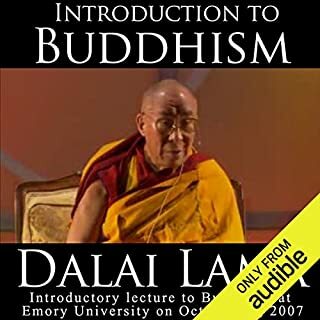 If you are also looking for a book for figuring out Buddhism, this one not only explains but puts it in a real-life context, too. Has humor, too. 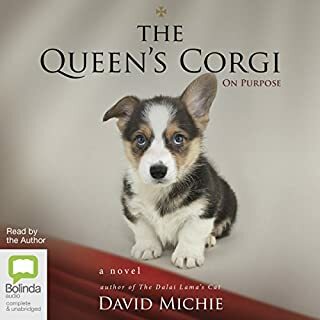 I loved listening to this book and will read more of Michie's works. Namaste. This book will not provide you with some ground-breaking wisdom, it touches on the things that, more or less, are common knowledge of what it means to be a good human or cat being, what it means to be happy, joyful or at peace with the world. What this book does is pure joy of listening to a beautiful story, so soothing for your frayed nerves. It made me feel like immersing in a better place and for these short moments after listening I was a better person until everyday stress caught up with me, but those moments were very precious. That is why I will go back to this book. Oh, one more thing, believe me, I look at my cat now from a little bit different perspective. What a truly lovely book. If you love cats and would like to understand a little more about Mindfulness, you will love this. David brings the whole story to life. I love it and have just bought the next two books in the series. Loved this writer and the clever way he brings Buddhist understanding to every day life. Not to mention the way he portrays the Dala Lama. Dare you to read this book and not learn something new about yourself! It combines psychotherapy with a great understanding of a cat's mind. 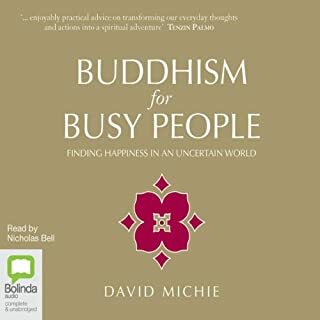 I read Buddhism for busy people a few years ago and it brought much peace into my soul. The Dalai Lama's cat books are a delightful trilogy by the same author that bring not only a calming and delightful story but very simple and powerful meditations set. It has inspired me to begin meditating again! A lovely story with lots of life enhancing tips! Lovely Book with great buddhist insight! If you could sum up The Dalai Lama's Cat + The Dalai Lama's Cat: Guided Meditations in three words, what would they be? A really great book! I loved the story and the buddhist insight. The characters are interesting and HHC... I love the cat! Which character – as performed by David Michie – was your favourite? Cant wait to listen to the next one! Fabulous, entertaining from first paragraph, funny, spiritual, great Buddhist teachings, captivating, will listen to again and again. The story is charming and a fun intro to Buddhism. The meditation exercises are really useful as they cover a variety of types of meditation and last about 10 mins so are easy to incorporate into your day. Brilliant. Funny, but informative cat take on Buddhism. Includes cat yoga and purring meditation. Loved it. I really enjoyed listening to this book really well written and easy to understand. So good I’m relistening to it with my 10 year old daughter. Would recommend it as a light hearted but insightful read. HIs Holiness 's Cat is a beautiful story told through the eyes of HHC herself. I can't wait to listen to the next installment in the series. What a wonderful way to explore the life of a cat. A very special cat indeed. What a wonderful book! Cleverly written by a cat with a lot of insight. 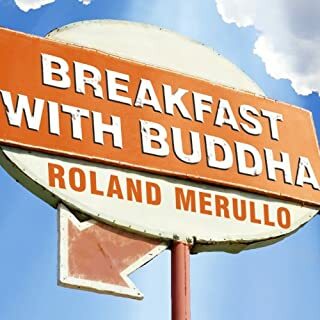 I loved the way the buddhist philosophy is interwoven throughout the story making it food for thought as well as an enjoyable listen. Will definitely go onto the next story. 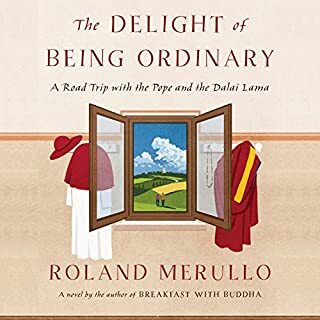 I have always loved the teachings of Buddhism and I have a huge love for felines, so to combine a semi-factual story of a cat rescued by the Dalai Lama and her adventures living with the enlightened one makes for truly a beautiful story. 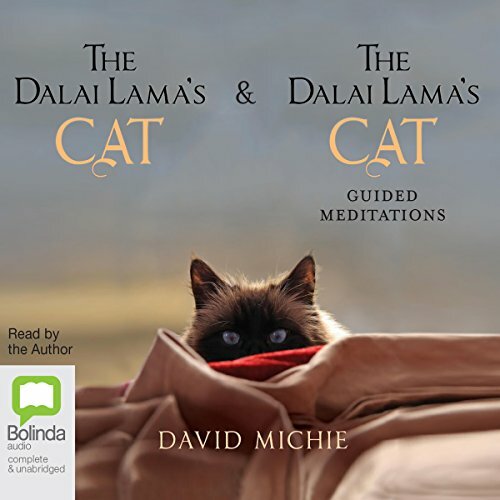 David Michie eloquently narrates his own book which includes not only the daily life of the Dalai lama's cat, as if written by little Rinpoche herself, but also beautiful sayings, Reflections and meditations to help you find some peace within..
Would you consider the audio edition of The Dalai Lama's Cat + The Dalai Lama's Cat: Guided Meditations to be better than the print version? I absolutely LOVE this book. I have listened to it about 30 times and I love it more every time. It is without a doubt (along with the other 2) my favorite book ever. Syd. His strength of character and integrity was very appealing and I loved Mrs Trinchie. Not a cat person? HHC might just change that! don't know. haven't read the print version. What was one of the most memorable moments of The Dalai Lama's Cat + The Dalai Lama's Cat: Guided Meditations? Have you listened to any of David Michie’s other performances? How does this one compare? the title does the job well. intriguing and accurate.